Need to sell Game Two on Thurs night. $400 emt for the pair. I will transfer to your Raptors account. Or send PDFs. I'm in Peterborough if you want the hard copies. Peeps. First of all I am no longer Raptorman the ticket seller. I guess that makes me Raptorman the super hero. I did keep one pair of tickets for personal use. 304 row 1. But I live in Peterborough so I cant make many games. I am selling my tickets at face value in groups of 9. In 4 groups. That leaves me about 5 games. Then you get two each of the medium level games. Vs Boston, Philly, Det, Bucks, Pacers, Nuggets, OKC, Jazz, Minny. The other 6 games are your choice. I might separate the choices by night (ie 2 Fri, 2 Sun etc). Lets see what people pick. Tickets will be hard copy only. Not by me. And the person that took it over is not sure if she is continuing. We will always have Linsanity. Probably married with children by now. Haha. Yes. I have her on Facebook. She has had a steady BF for a couple years now and is a teacher. Not much to say about the Knicks anymore. Her friend that she brought got married. Made a killing on that first Linsanity game. Still sold tickets much less than anyone else. ...and then the shot over Jose..
A newbie here, just wondering if there are any organized fan bus trips to Detroit this season? If so, what is the information for booking? 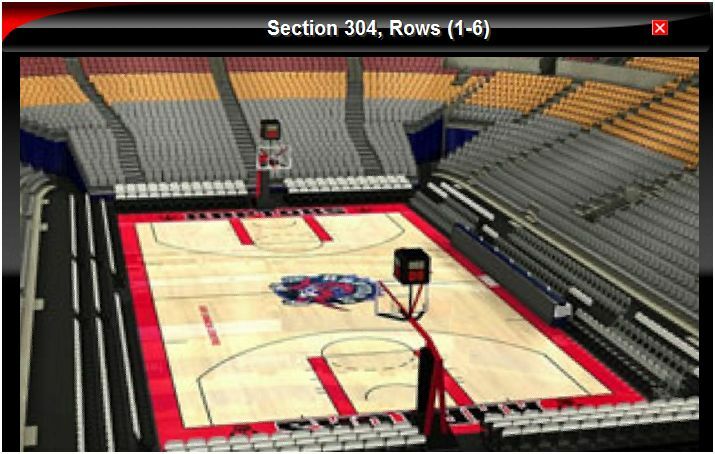 Hi all, don't know if this is the right place for this but I have 2 single tickets one behind another for the last game of the year vs Heat for sale, Sec 305 Row 3/4, Seat 7. $275 for both, saves some of the TM fees...e-transfer or paypal are good. Let me know if there's anyone interested.